The Penn Slammer III is back by popular demand. Built for heavy-duty fishing from either boat or shore, and trusted by charter Captains all over the world. 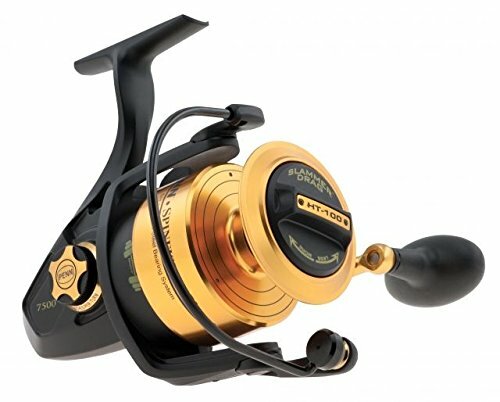 The Slammer III reels Features the IPX6 sealed system which keeps water out of the gear Box and drag system. Penn also uses the updated Slammer Drag System which now utilizes the proprietary Dura- drag Material. 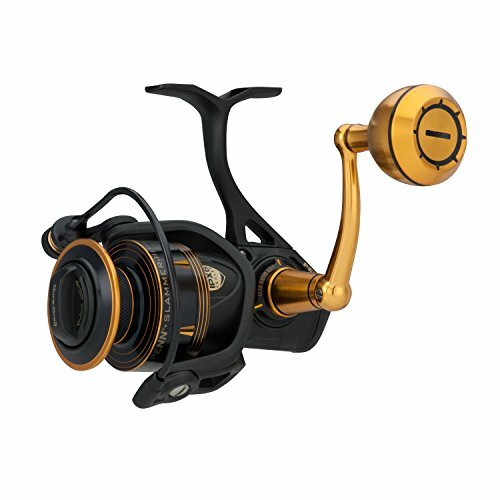 Features: - Full metal body, sideplate, and rotor - CNC gear technology - IPX6 sealed body and spool design - Sealed Slammer Drag System with Dura-Drag - 6+1 stainless steel Bearing System Specifications: - technique: spinning - reel Size: 5500 - reel Handle position: Right/Left - gear Ratio: 5.6: 1 - Retrieve Rate: 39 inch - Bearing Count: 7 - Braid Capacity (Yards/lbs): 500/20 380/30 335/40 - Mono Capacity (Yards/lbs): 430/10 330/12 230/15 - drag Material: Dura drag - drag Type: Front Drag - Max Drag: 40 lbs. - Anti reverse: instant anti-reverse - Weight: 22.40 oz - Color: Black Gold. 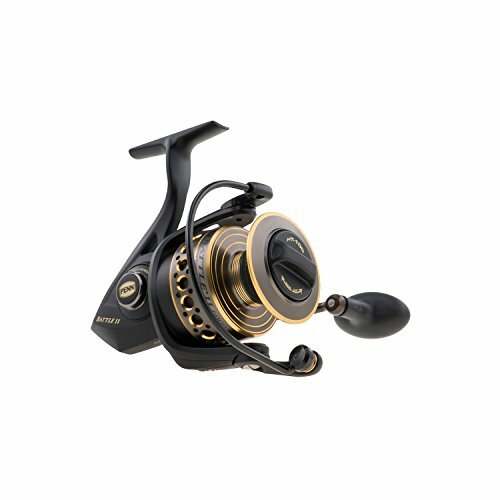 Arm yourself for the most punishing saltwater battles with the Penn Battle II Spinning Fishing Reel. 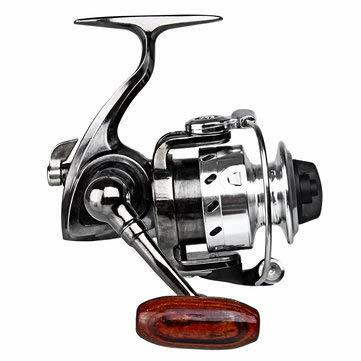 Crafted from durable materials and packed with fish-fighting features, this saltwater reel is engineered to catch fish year after year. 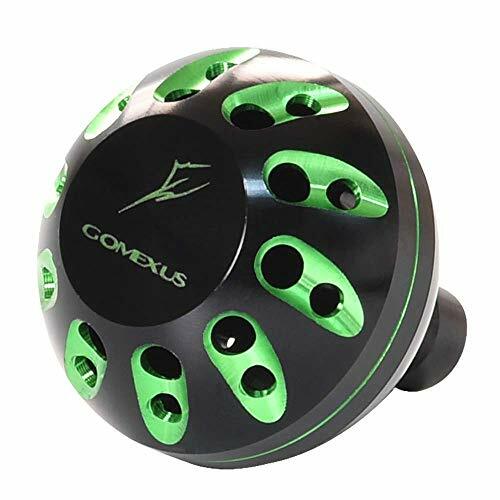 From the full metal body, sideplate, and rotor to the five sealed stainless steel ball bearings, each component is designed to help you land your catch. The reel's HT-100 Versa-Drag carbon fiber drag system leverages both sides of each drag washer to provide maximum drag, and its instant anti-reverse bearing eliminates pullback so you reel without interruption. Additionally, the drag washers are treated with a proprietary grease to ensure long-lasting performance. Suitable for use with Berkley or Spiderwire Superline, the spool is fitted with a rubber gasket that prevents the Superline from slipping under pressure--meaning anglers can use braided line without a monofilament backing. And thanks to its line capacity rings, the spool displays at a glance how much line is remaining. 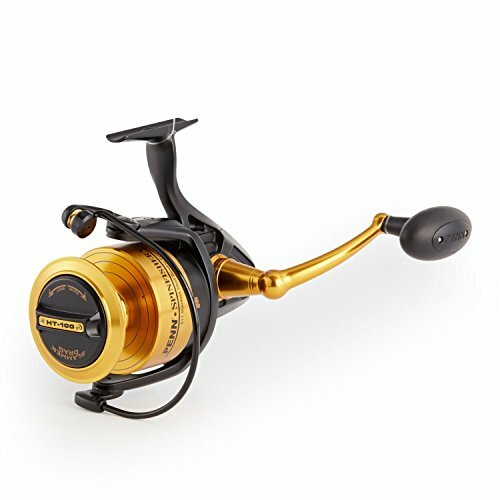 The PENN Spinfisher V features our Water Tight Design so whether you dunk the reel in the surf, or let it ride in the spray all the way home, you don't have to worry about saltwater getting into the gearbox or drag system. Our Slammer Drag System is a truly sealed drag system with a total of 3 HT-100 drag washers (1 on the top of the spool, 2 underneath the spool). A Full Metal Body and sideplate keep precise gear alignment under heavy loads. Available in standard, Live Liner, and bail-less models. Gomexus focuses on -people who pay high attention to top quality, -but not prefer to pay extra just for the logo of those top branded. We offer-a 60-day return,-a 24-hour response,-a 24-hour shipment and-a one-year warranty(accessories not included) We want to be -a part of your fishing enjoyment, yet at -your lowest cost. 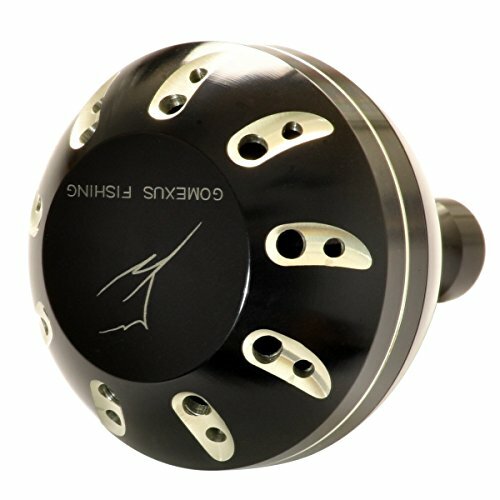 Looking for more Spinfisher Metal similar ideas? Try to explore these searches: Riser Board Assembly, 56' Transitional Ceiling Fan, and Pondless Kit. Look at latest related video about Spinfisher Metal. Shopwizion.com is the smartest way for online shopping: compare prices of leading online shops for best deals around the web. 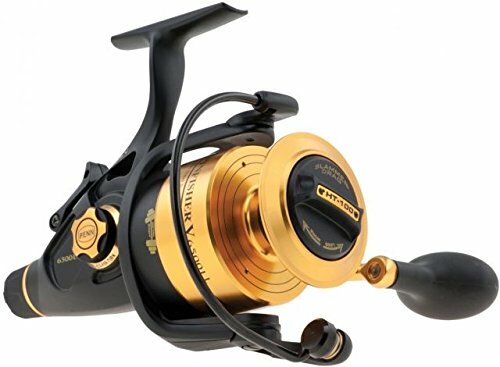 Don't miss TOP Spinfisher Metal deals, updated daily.